Place freely written content on your custom dashboard using Markdown Widgets. 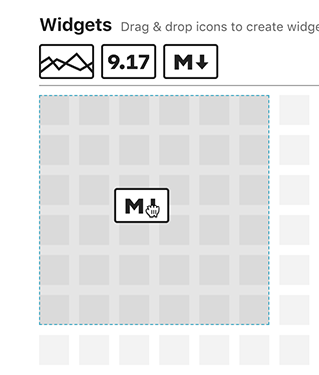 Drag & drop the Markdown widget icon to determine where to place the widget. 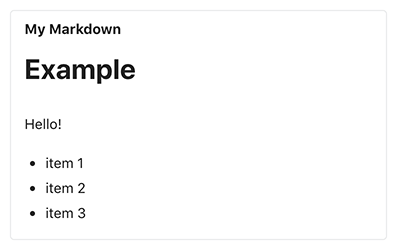 Next, write what you want displayed in the widget in Markdown format. You can preview what you've written using the preview tab. 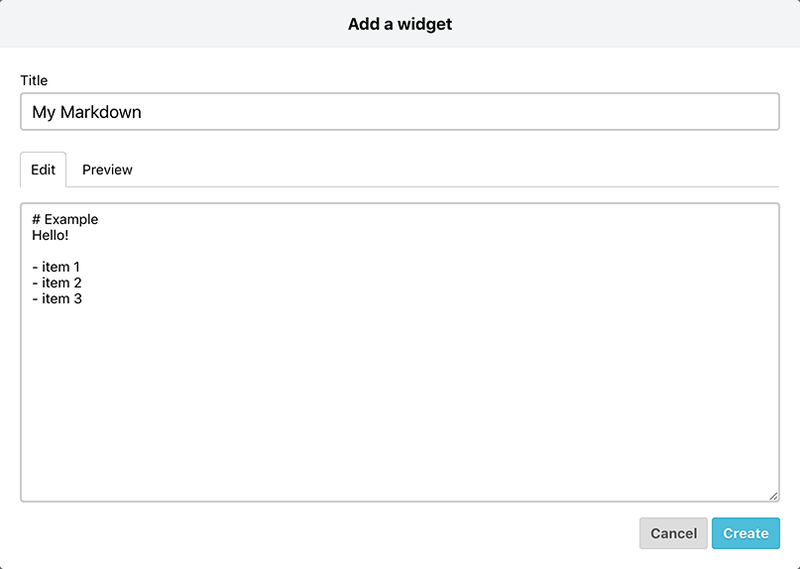 Once writing is completed, create the widget by clicking the Create button. Some HTML tags / attributes are available. However, you can not display resources outside of Mackerel regarding <img> <iframe>.